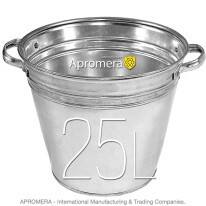 Our factory specialises in manufacturing and wholesale distribution of galvanised products. 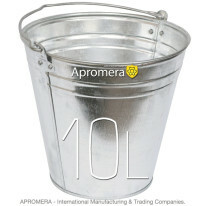 A wide selection of Galvanized Flower Buckets, Oval Planters, Metal Flower Pots are represented in the showcase. 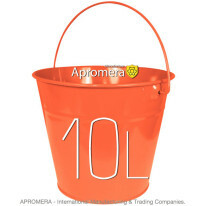 These articles can be available in 5 to 32-litre capacity, they can be large and small, for indoor and outdoor use, floor and hanging Metal Plant Pots, Herb Pots. 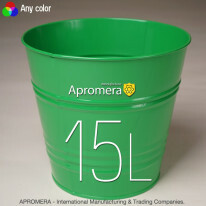 Our models will provide for the ornamental plants growth and emphasize interior design or add bright character to it. 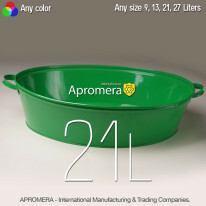 Refer to the catalogue for the items made from 0.35 – 0.50-mm thickness galvanized steel, of rich and pastel colors, featuring elegant decorative elements and ethnic patterns. 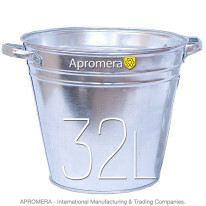 Apromera-produced Metal Plant Buckets are highly popular in Britain, London (UK). We can choose stylish and original items to your liking. 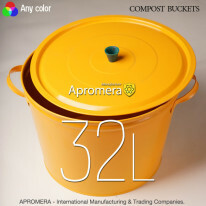 Any florist is sure to tell you that choosing a pot a serious task. 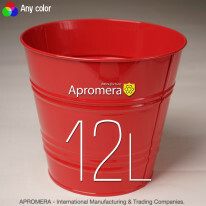 The look of it should not distract attention from the green of the plants, while a plain pot may fit in the interior, moreover, the plant itself will not look to the advantage. 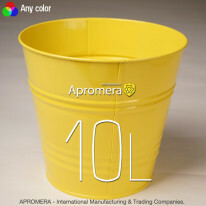 • One-colour wide pots perfectly match frequently flowering plants. • Window sills are suitable for a pot of light warm tones. 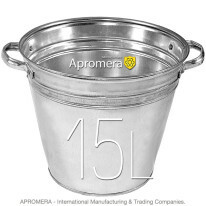 • Ceramics is a natural material, though flowers planted in metal containers also breathe. These plants receive sufficient air through the bottom surface.